Rotary File for January 16, 2018 | Rotary Club of Iowa City A.M.
Steve Schomberg, Secretary of the Bur Oak Land Trust, was the speaker on January 16. The guests from City High Interact discussed the recycling project the Interact group has started at City. They are selling coffee/water bottles to raise funds for the recycle boxes that are being placed around the school. Pam Ehly shared the list of books bought by Liberty High librarian staff and read the thank you note from the librarian concerning our gift to the new high school's library collection. The list of 15 books are on topics that are relevant to Rotary/AM Rotary projects and areas of community focus. The contribution was made in honor of our speakers throughout the year. Amanda McFadden and Kate Sojka reported on the successful Trivia Night. There were 29 teams and around $4000 gross was raised. Proceeds will be shared with DVIP and Table to Table. Thanks go to Casey Cook for serving as MC and for Cassi Elton's team for representing AM Rotary against the other Rotary teams. The winners were a team from UI; the Rotary team winner was the table representing the Downtown Club. 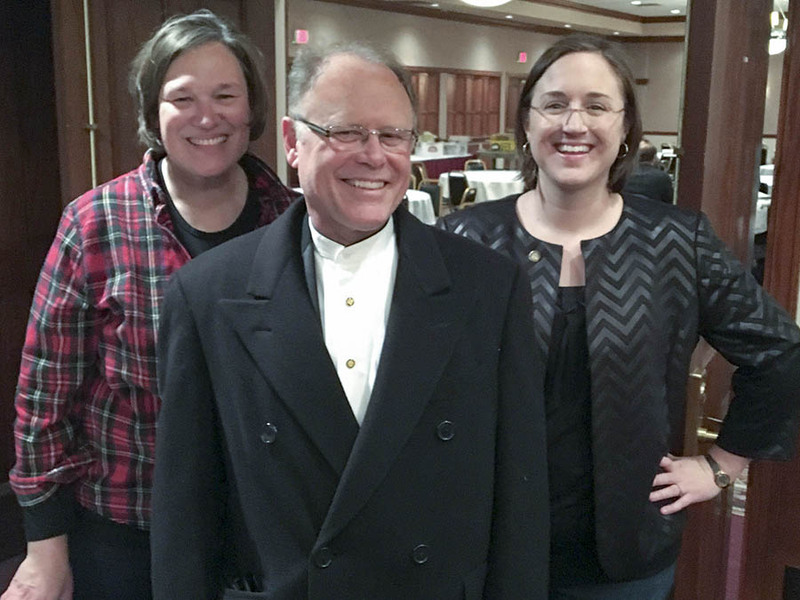 Casey Cook suggested that members check out the Feb 14 Combined Efforts community talent show at the Coralville Center for the Performing Arts. Casey and Kate will be performing a tango. Deb Ockenfels suggested everyone planning to attend one of the District Conference events get their tickets before the price increases April 1. The event closest to us will be Friday, April 13 from 11-2:30 in Coralville. The next RLI will be in Iowa City on March 3, including a training event for new facilitators. The location is TBD. Rotarians in the News: Dave Parson's latest article in the PC. Happy Bucks: Contributors included Deb Dunkhase, Karin Franklin, Myrene Hoover, Amanda McFadden, Roger Christian, Liz Loeb, Deb Galbraith, John Ockenfels, Mike Messier, Ann Romanowski, Phil Peterson, Sue Cronin, Jim Peterson and probably a few others. The Secretary of Bur Oak Land Trust, Steve Schomberg, showed pictures of many of the areas preserved through the Trust in various seasons. They include grasslands, woodlands, and wetlands. Some of the parcels have been purchased by the Trust, some have been donated, and some easement areas are managed by the Trust but are still owned by private individuals. Its mission is to protect Iowa's natural heritage, particularly in Johnson County and surrounding areas. It started out as the Johnson County Heritage Trust and is a 501(c)(3). The name was changed to make it clearer what the land trust is and to make it less specifically identified with Johnson County. Prior to development all of Iowa was considered part of the prairie region. Now there are just a few small areas around the state that have been preserved or returned to a prairie environment. Our rich soils came from Illinois originally, blown in as loess soils just like those found in the western part of the state. The natural resources in Iowa were also shaped by the glaciers during the Ice Age. All of Iowa's natural environment has been altered by settlement and agriculture and is the most changed of all 50 states from its original natural state. Restoration is desirable because it can improve water quality, promote wildlife habitat and biodiversity, and it contributes recreational opportunities for people to get out and enjoy nature through such activities as hiking, geocaching (scavanger hunting), family outings, mushrooming, and some annual events.